. 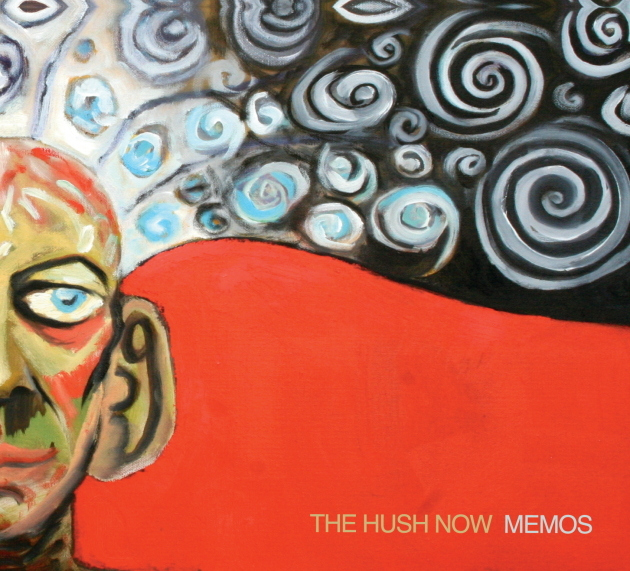 : Be Prepared: The Hush Now | Memos | 27 Sept.
With its track record of quality singles and full-lengths, it's no surprise that The Hush Now's forthcoming Memos is excellent. What is surprising is that the Boston dream-pop quintet's third long-player is so widely varied. The formidable act's recent performances have been epic, with live arrangements emphasizing dense, melodic guitar textures and providing bracing work-outs for the band's capital rhythm section. Memos showcases this -- how could it not -- but also much more. The record touts another in the band's increasingly reliable series of dance tunes (namely "The Glow" and its phaser-backed, falsetto funk), as well as some of the most straightforward pop ("Arkansas") and sentimental balladry (the terribly affecting "Sitting On A Slow Clock," the sweet "Mother's Lament") that The Hush Now has recorded. With the band becoming increasingly collaborative, it's hard to know where the influences and ideas are coming from, so we won't speculate. But we can report that drummer Barry Marino and lead guitarist Adam Quane each take some lead vocals on Memos; Marino also wrote the words to the classically Hush Now-styled, guitar-centric rocker "Clouds." The act self-releases Memos Sept. 27, but local fans can catch the outfit Aug. 12 performing a set as part of The Pill club night at Great Scott, Boston. The appearance is ostensibly intended to promote a single for the dance remix of "Thorns" (download here) that we first wrote about here in May that was packaged with the remixed and remastered release of the band's sophomore set Constellations (album stream), but we'll eat a Great Scott pint glass if we don't get treated to some of this new material as well.